Most of these activities are secure because they come from sources that can be trusted. But sometimes criminals impersonate trustworthy sources to get you to click on a link or download an app that contains malware. Falanx Group Ltd (LON:FLX), through its subsidiaries, provides cyber defence and intelligence services to blue chip and government clients worldwide. 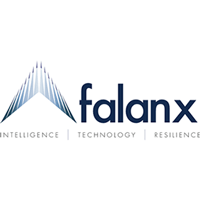 It operates through Falanx Cyber Defence and Falanx Intelligence divisions. Click FLX for the full archive.